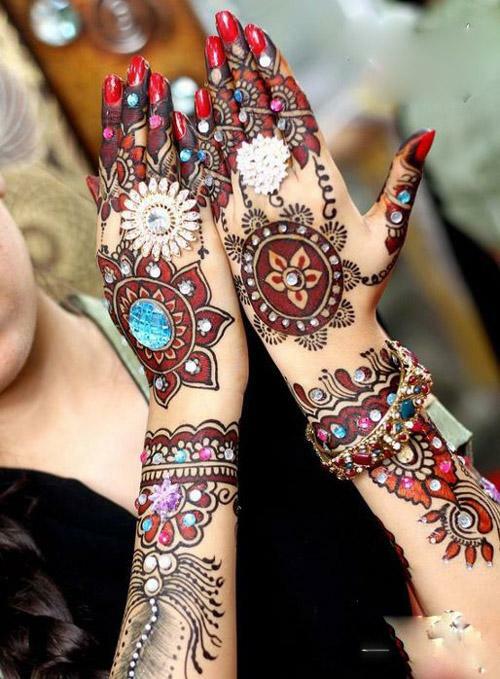 These Beautiful Mehndi Designs (With Updated Images) Will Steal Your Heart Away! 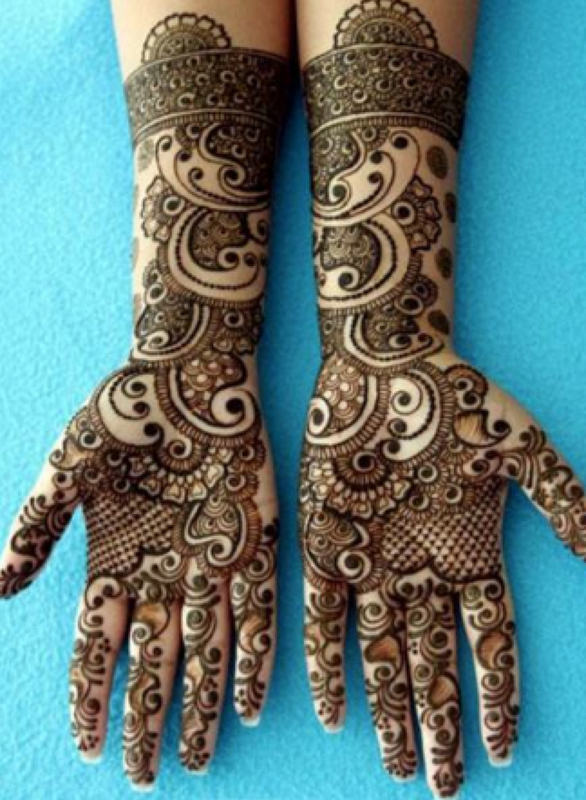 These 20 Most Beautiful Mehndi Designs Will Steal Your Heart Away! 1. 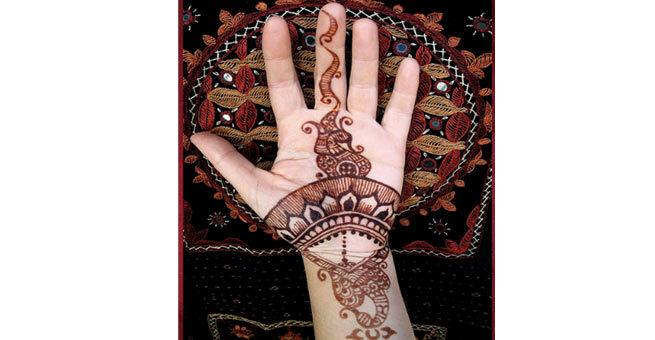 This floral mehndi design, complemented with paisley motifs, deserves to get the numero uno position in the listing. Its simplicity and elegance have made it one of a kind. 2. 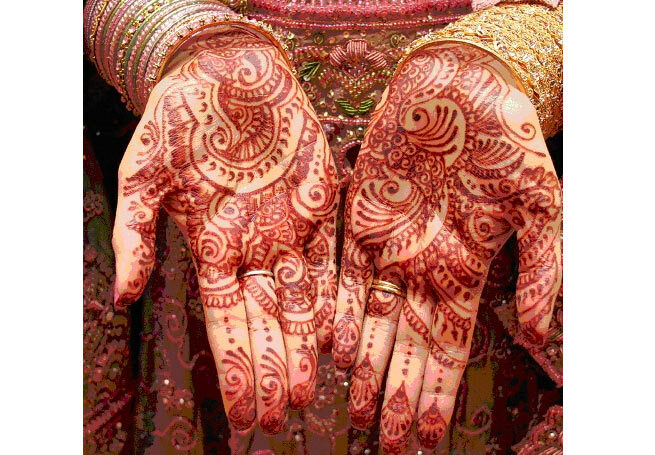 Depicting nuances of the Islamic culture, this paisley filled Arabic mehndi design is unique in its own way. It is simple, attractive, and perfect to adorn your beautiful hands. 3. 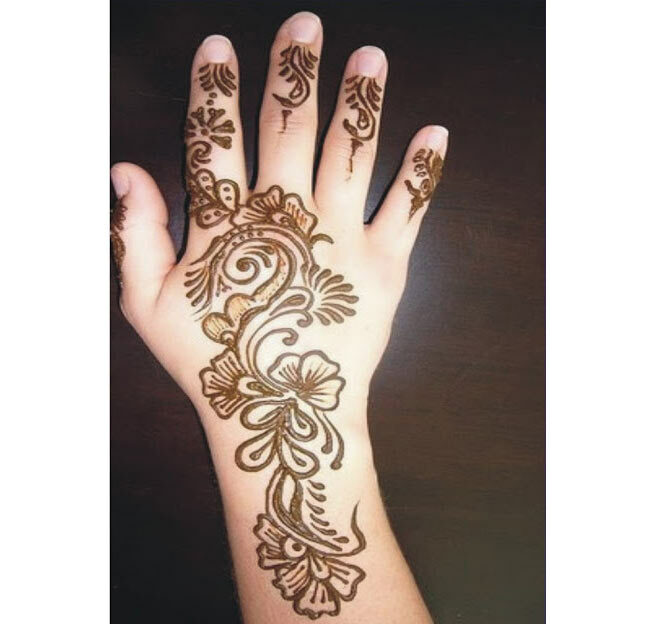 This flower-laden mehndi design will add a tinge of glamour to your sultry back in the simplest way possible. Wearing a backless dress was never so exciting! 4. How about this shady pattern with eye-catching floral motif? 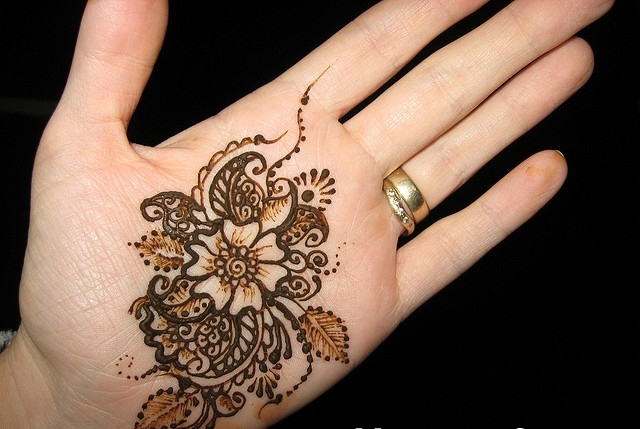 It is easy to make, highly feminine, and will make your hand look super pretty. 5. This Arabic design has an intricate pattern featuring flowers, leaves, and petals, which is nothing less than extraordinary! Women simply can’t help but adore its charm. 6. 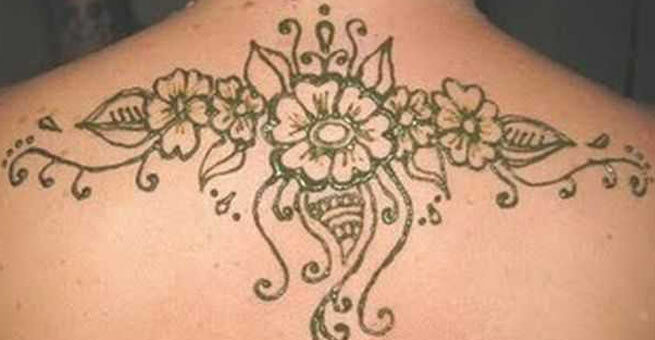 Imagine flaunting your curvy back in a backless choli with this mesmerizing mehndi pattern on it. This design has all the elements to grab the eyeballs of the onlookers. 7. 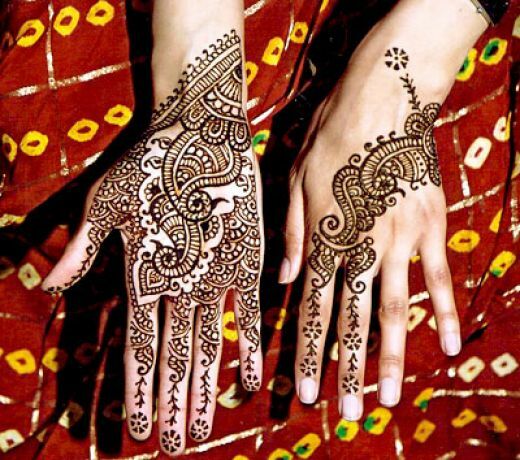 This Pakistani mehndi design is all full of glitz and glam. The intricacy of its motifs is enough to speak about the skill and efficiency of the artist. 8. 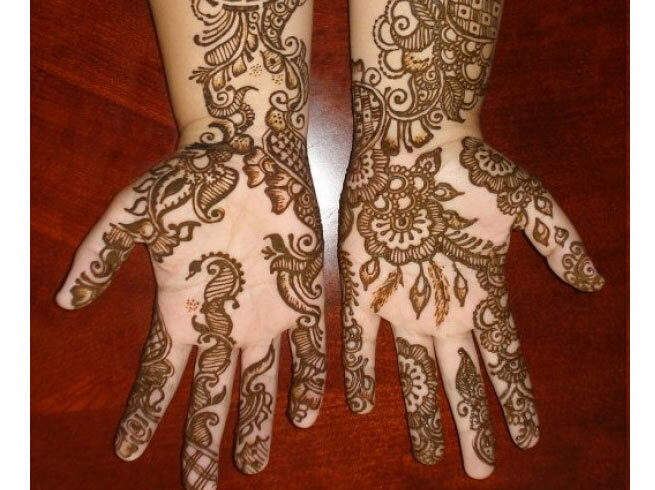 You can intermix the best mehndi patterns together to get an incredible design. 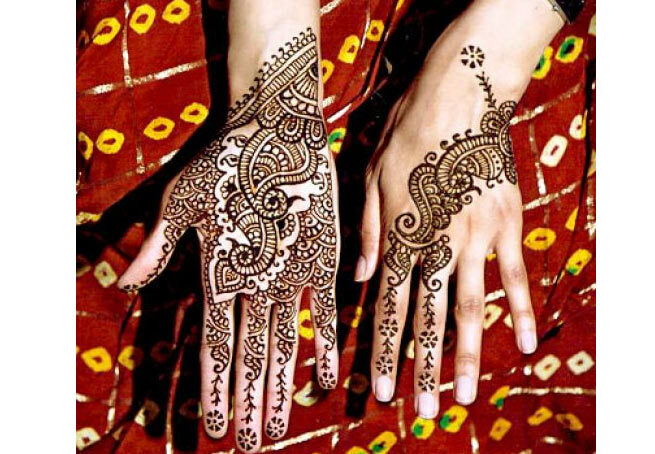 Check out this exquisite mehndi design amalgamating the Marwari pattern with the Arabic one. 9. 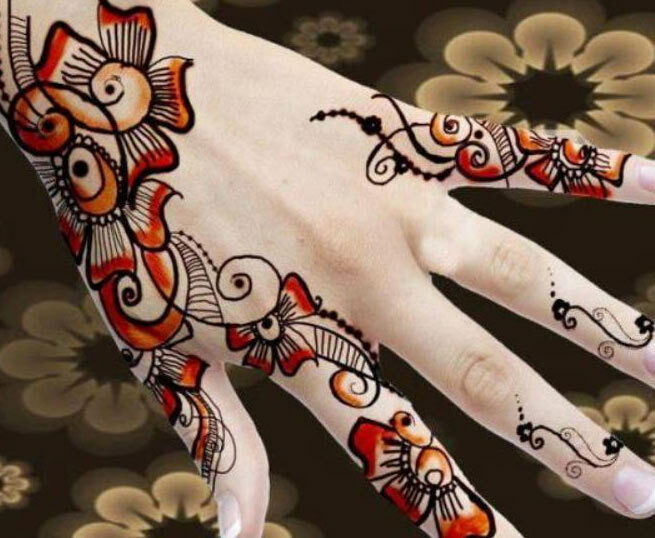 Ever thought that your fingers can be as good a canvas as your palm? 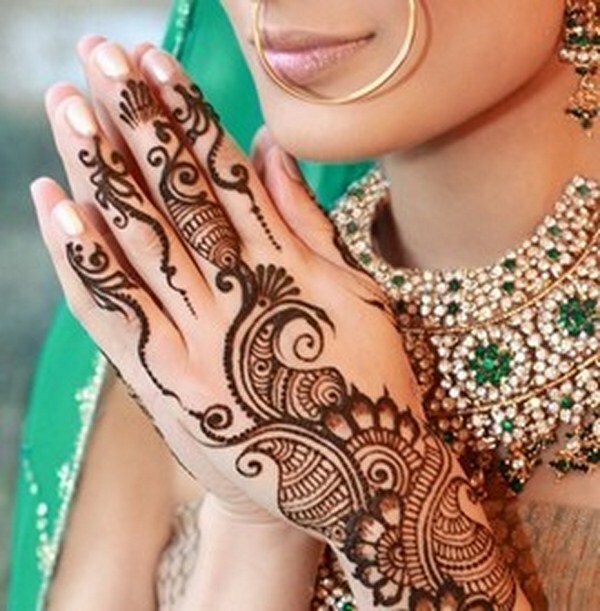 This gorgeous mehndi design will enhance the beauty of your fingers in the best way possible. 10. 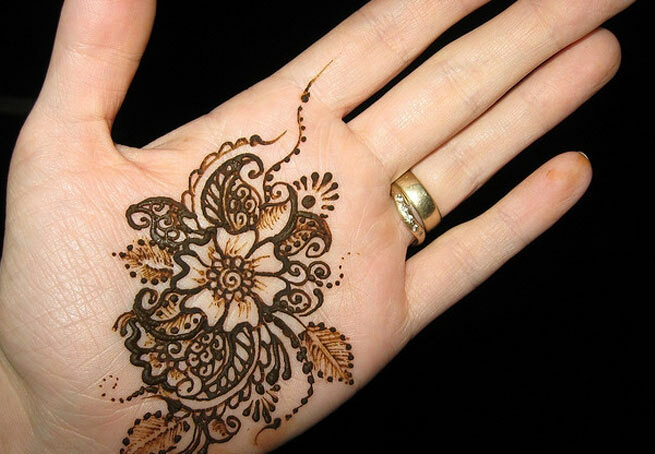 This peacock-motif mehndi design is rich and elegant enough to make way for bridal adornments. It’ll look pretty on everyone’s hand and you can’t help but love it! 11. A simple design can also look breathtaking. Well, do not believe us. 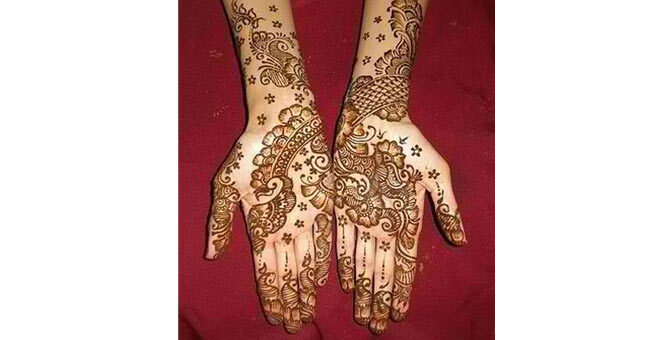 Just have a look at this pretty Arabic mehndi design featuring elegant floral pattern and you will understand. 12. 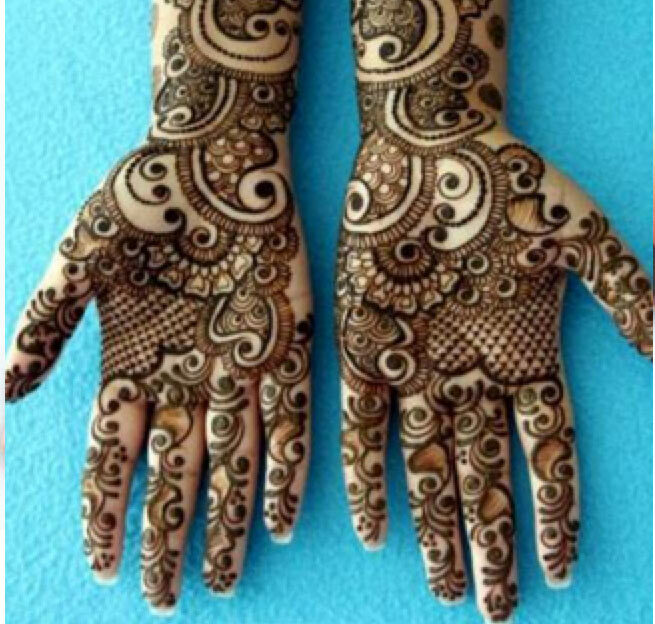 This amazing Pakistani mehndi design is undoubtedly a perfect bridal décor! 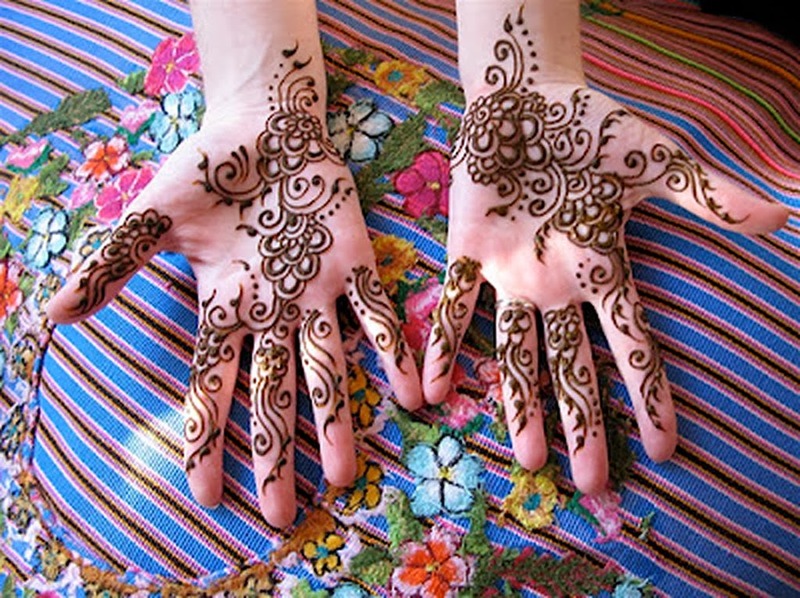 If you are looking for one of the most eye-catching henna patterns for hand, simply go for it. 13. 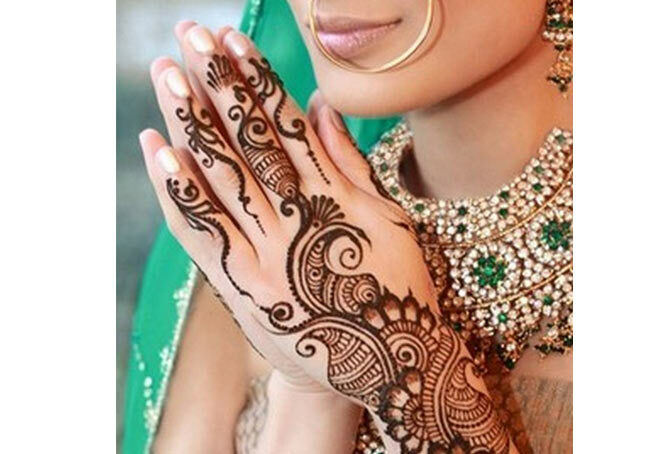 Those pretty mehndi patterns are complementing her bridal look to such an extent that she doesn’t even need too much jewellery to flaunt her ravishing beauty! 14. An intricate combination of red and black can take your heart absolutely away! 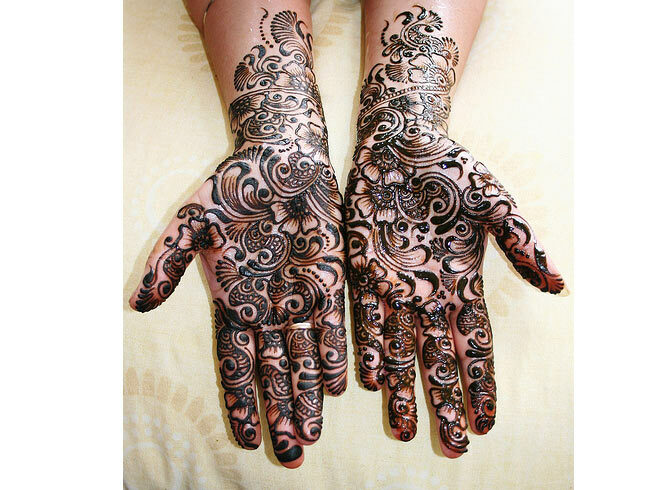 Do we really need to say anything else about this magnetizing henna pattern? 15. It’s all paisley and it’s all beauty! 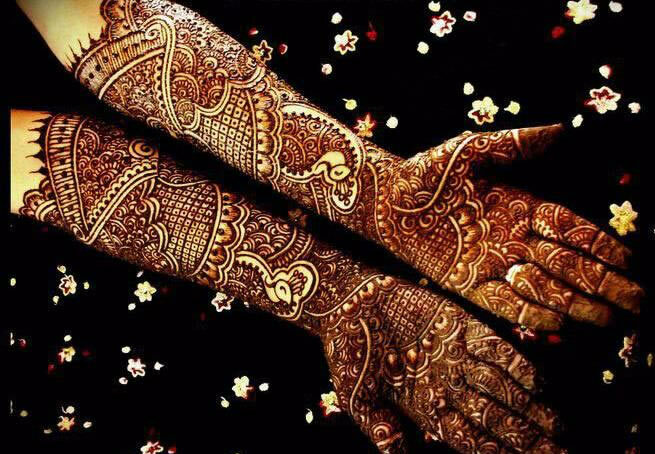 A skilled henna artist can make your hand gleam indeed by adding tons of creativity and this design proves it beautifully. 16. Sometimes simple yet unique designs can go above those heavy, traditional ones. 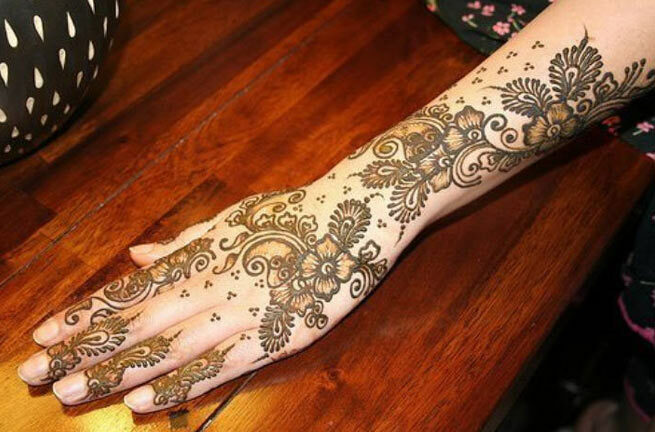 This henna tattoo is uniquely simple and that’s what makes it different. 17. 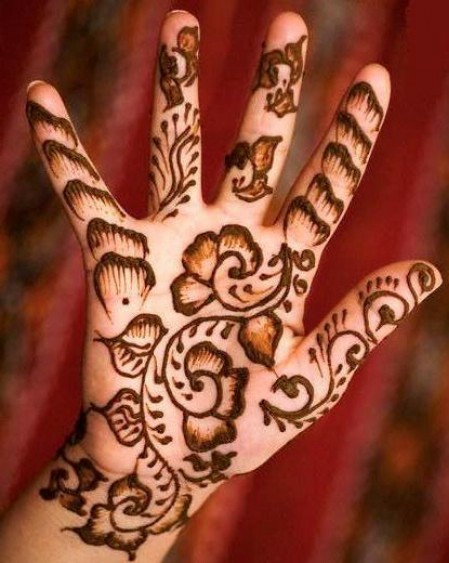 Spread only across the palm area, this henna pattern may look incomplete, but its beauty is well-complemented by plain fingers and it certainly deserves to be in this list. 18. 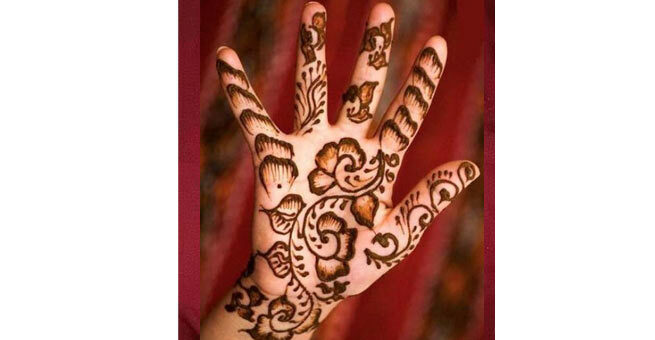 Here is another beautiful and charming Arabic mehndi pattern that can increase the glamour of a gorgeous bride. The glittery effects make it look even more adorable. 19. 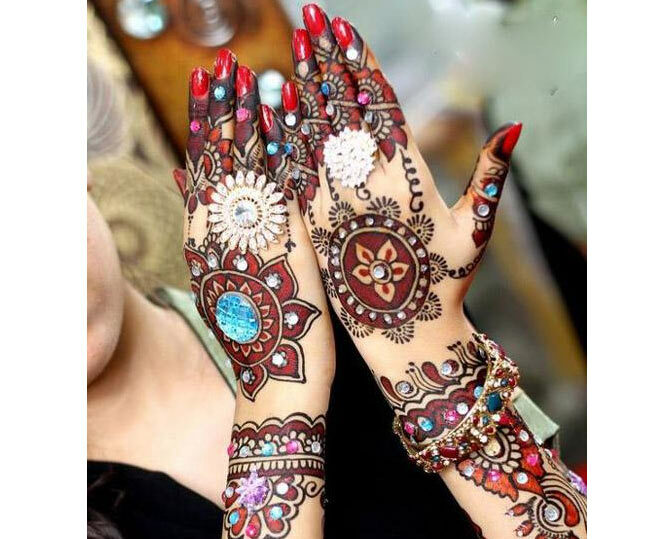 Immediately out from a Bollywood shaadi, this mehndi design has all the elements to look stunning with the right selection of dress and accessories. Do try it on your D-day. 20. 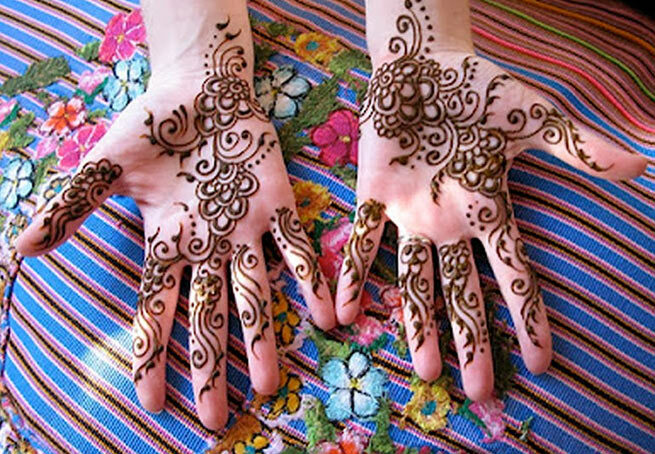 If used creatively, an assortment of colours can make your hand look magnificent. 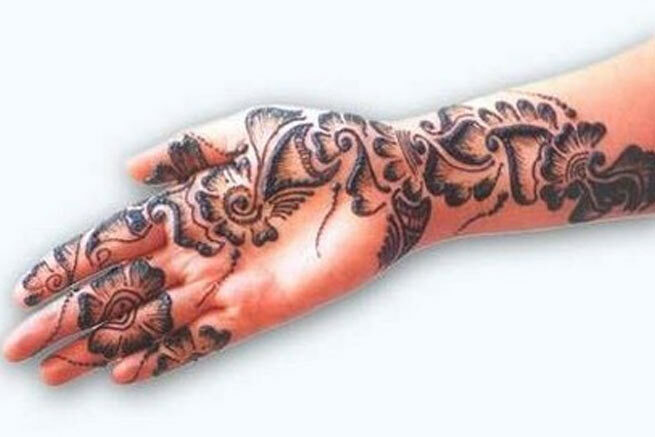 This one of a kind mehndi design is a great example of such creativity.